Responsibility: We are not taking any responsibility for your Gerber files. We are using them as-they-are for producing the PCBs, so make sure that they comply with all limits and standards. What kind of file Smart-Prototyping can accept? 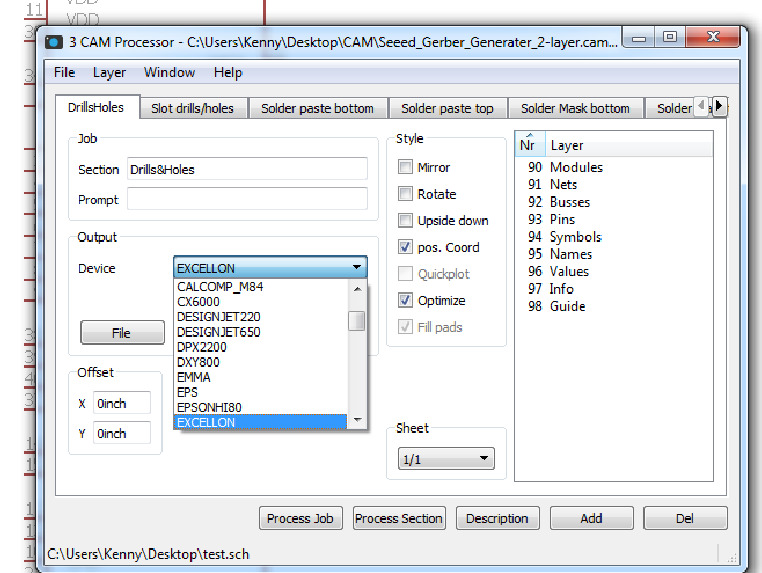 Gerber file, Eagle file(.brd) and Altium file(.PCBdoc). What can I do if I uploaded the wrong files? Please send the correct Gerber file to shop@smart-prototyping.com asap, we will use the Gerber file if we didn't start to process the order. But we can not change/cancel your order if the factory already put it on manufacturing line. Is PCB panelization only for the same PCBs? Can I Panelize by different PCBs? Yes, you are able to panelize different boards together in one Gerber. 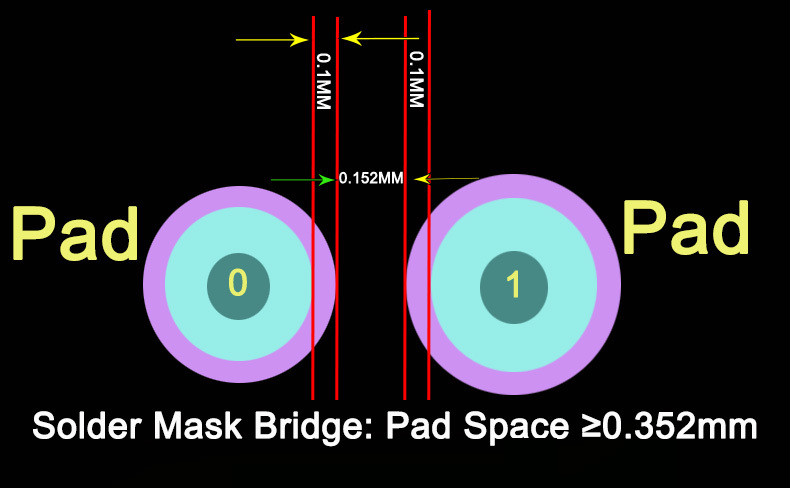 Pad Space size should be greater than 0.352mm, otherwise there is no solder mask between the pads. What is the minimum milling slot? The minimum is 1.6mm for the milling slot. How to export the drill files correctly? Please leave a message "There is no solder mask/ drill hole/ silkscreen" when you check out. What is the material of solder mask? The material is photosensitive ink for solder mask. What is the machining diameter tolerance? What is the minimum trace width /spacing of 2oz copper thickness? You can use layer 46 (Mechanical layer)and add a note. Thanks! The production time is the manufacturing time, it does not include the checking time, packing time and shipping time. 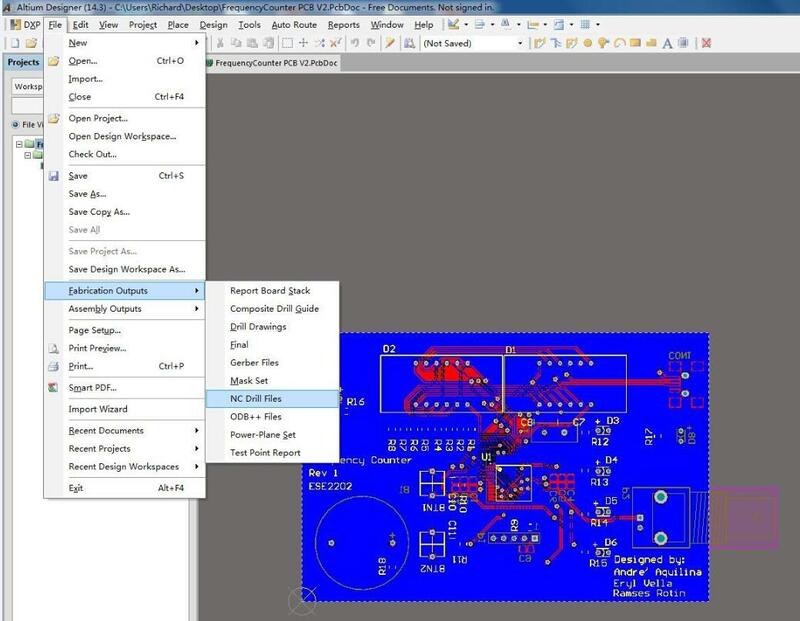 If you need high precision PCB fabrication, please send email to shop@smart-prototyping.com.